“The new TLC are German, pass it on,” someone commented on the debut single by Ace Tee. “Bist du down?” (Are you down? ), that very single, is arguably one the biggest German R&B hits from over the past few years. Hamburg-based Tarin Wilda, who launched her own clothing range with H&M last year, made the 90s sultry rap hit alongside production partner Kwam.e in her free time, outside of the hair salon she worked at during the day. 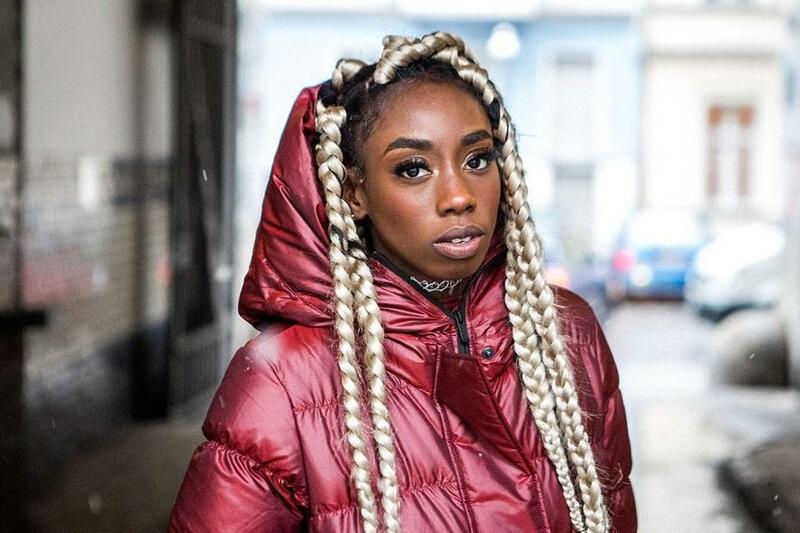 “Bist du down?” become a global hit, with international press being drawn to this north-German hip-hop phenomenon — even Vogue and NPR were asking how Ace Tee got her style. With a solitary EP to her name, Tee Time, the Ghanian German’s music is often compared to that of TLC’s, or Aaliyah. The 90s love can also be heard in her single “Bounce aus dem beat”, which kicks of with a Grandmaster Flash sample. Taking a grounded approach to her career, Ace Tee has been busy on the road with Kwam.e, with an album to come once she’s ready. There are also plans to create further projects with her local Hamburg crew, with grand designs to firmly establish the Hamburg hip-hop scene on the map.